A volunteer grimaces for the camera during filming for "The Quest for Truth: The Crucifixion," airing Sunday. 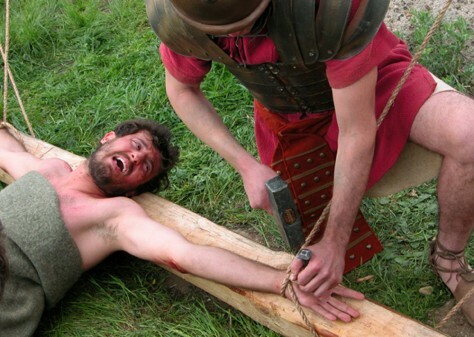 The volunteer was tied to a cross to study the biomechanics of crucifixion, but no one was actually hurt. The simulated nailing was just for show.